Deadline is reporting that American actor Mekhi Phifer is to join the cast of Torchwood: The New World playing Rex Matheson, one of the three leads, alongside John Barrowman and Eve Myles. 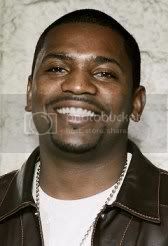 Mekhi Phifer is best known for his role as Dr. Gregory Pratt on NBC's long-running medical drama ER. Born in New York, his acting career began when he was selected for the leading role in Spike Lee's Clockers a role for which he won critical acclaim for his performance as Strike, a young New Jersey drug dealer involved in a murder cover-up. He later appeared in the comedy spoof High School High, in the Columbia/Tristar thriller I Still Know What You Did Last Summer and in Soul Food. In 2002, Phifer starred as Future, opposite Eminem, in Curtis Hanson's film, 8 Mile. Phifer's other television credits include leading roles in MTV's film Carmen: A Hip Hopera and in A Lesson Before Dying a role which eearned him an NAACP Image Award Nomination. He was a regular on the Fox crime show Lie to Me.